Take a tape measure and follow the simple steps below. 2. 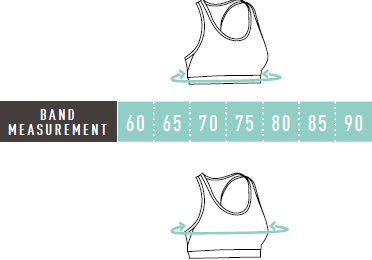 For your BURST MEASUREMENT.Wrap the tape measure around the widest part of your bust. A ventilating sports bra that offers medium support. Made with climacool® for ventilation, this sports bra keeps you cool so you can focus on building your strength. The contoured fit delivers targeted compression, and the racer-back design boosts freedom of movement. It's finished with an exploded adidas graphic on the front.